Is the Card for yourself or a gift? Select the Value of the card you would like to purchase. Click the Add to Cart button. We'll mail your card to you. Note: Packaging may vary from that shown. You may also purchase the card in our shop or by calling: 510-849-4444 during business hours (see above). 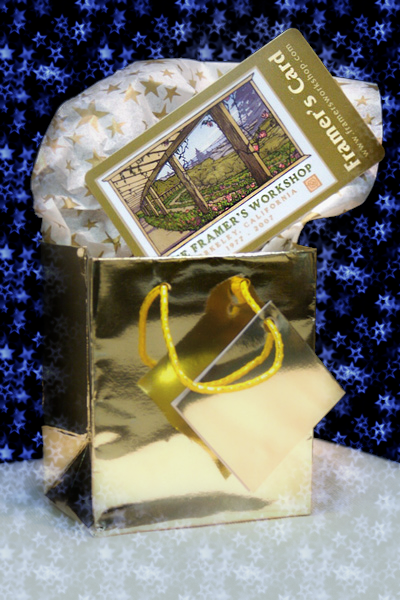 Framer's Workshop Gift Cards are perfect for any occasion. The card is as good as cash for framing and merchandise at The Framer's Workshop and our sister store, The Framer's Outlet. 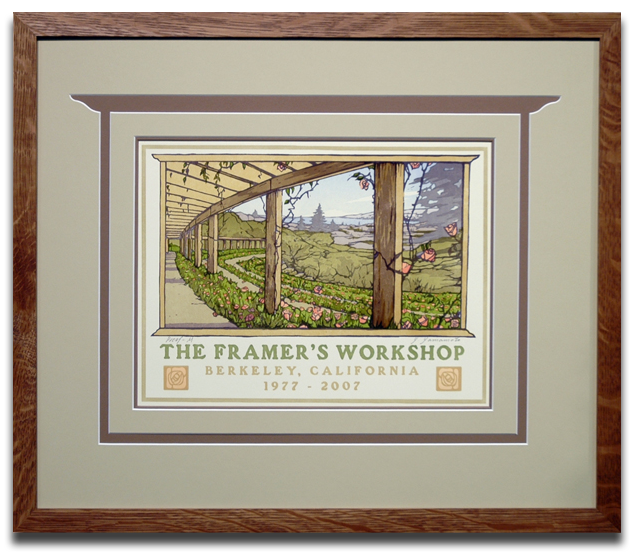 The Framer's Workship Gift Card features Yoshiko Yamamoto's Berkeley Rose Garden print created for our 30th Anniversary.